Radiesse would be one option for filling up pleating defects from a facelift by Dr. Philip Young of Bellevue | Seattle: Radiesse would be one option for filling up pleating defects from a facelift. The other option includes carrying out a revision of the facelift to better drape the facial skin. This results from more pulling on the skin and is less likely to occur with more deeper plane lifts that pull up the muscle instead of skin. 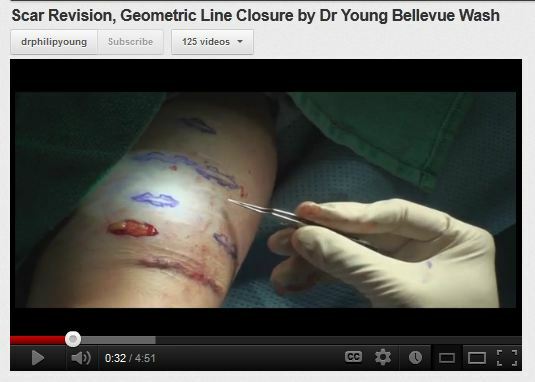 Instead of Radiesse, fat injections are a great option to consider for pleating skin. Another newer option is the YoungVitalizer, the breakthrough Incision Less Face Lift. This would be a way to improve the pleating and also a way to avoid a face lift altogether. Here is a video on the YoungVolumizer, our previous name for the YoungVitalizer. If you ever want some questions answered you can always email me here. Radiesse is made of Calcium Hydroxyapatite which is the exact molecule that is like our bones except without the cells and other tissues like collagen, blood vessels etc. It is very compatible with our bodies. Studies done by Radiesse have shown that this product is replaced a little bit by collagen. Radiesse has been shown to be present after 5 years by biopsy and some of this work has been done in the area of urology and the bladder neck. It is a stiffer products than the other fillers like restylane, and sculptra. The product is made up of 30% calcium hydroxyapatite so the rest of the 70% is removed over the first 6 months to a year and the 30% can stay around longer. Some people seem to metabolize the calcium more quickly and this can decrease the longevity, although this is through my observation and has no scientific analysis to it yet. Sculptra is made up of poly l lactic acid and is like vicryl suture which is degraded by our body to water and sugar which we can use. The degradation process is what produces the inflammation that eventually creates collagen, in a controlled scar like fashion. Results are for at least 2 years and they are finding that it lasts even longer in many instances. I have a patients whose results have been there for over 5 years. This inflammation is beneficial in that it produces collagen but on the flip side this inflammation when not controlled can lead to infection although this is very rare. Although most of the doctors mention bumps, this can be avoided. I have some techniques that make this much less likely. Fat injections are a great longer term option. They are natural. They take on the structure and feel of the tissue they are placed next to. If they are placed next to bone they will feel like bone and etc. They can last years, although this depends on the particular person, some results can last 10 years or more. 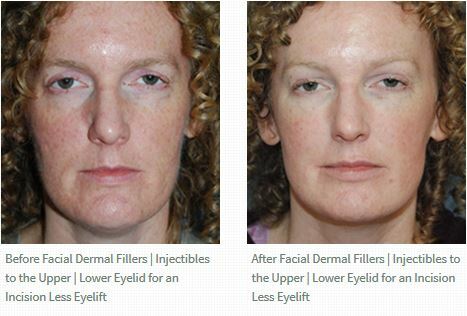 They require no incisions in the face, the discomfort is mucher lower than traditional approaches like facelifts, eyelifts. They do require a recovery period from the bruising and swelling but is acceptable. Unlike sculptra and radiesse, fat can be placed closer to the eyelid and lashes. Whereas these products need to be along the bone under the eye and this is where you can some problems with transitioning the volume from the bone to the eyelid whereas fat can do this transition. You can read my blog for more information. In terms of transitioning the product to the eyelid wiith radiesse and sculptra, the other alternative is to do transitioning and touchups with restylane, perlane or juvederm when needed. These hyaluronic acids (restylane, perlane, juvederm) can also be used for cheek augmentation but last less long (6 months to a year) than radiesse (year or longer) and sculptra (at least 2 years). Can Radiesse effect scans or other xrays that I get? Facial Fillers (filler / radiance / calcium hydroxyapatite) has been used in the past as a radiological marker and in fact this was one of its first uses. So, definitely, when you have radiesse injections you should tell the person taking your exam that you had these injections and to expect them on your radiologically exam. That could change the way they read the scan or exam! Posted in Radiesse | Comments Off on Can Radiesse effect scans or other xrays that I get?